The second event of the Finnish CISOR presidency was held in Sodankylä from February 9th to 12th 2017. 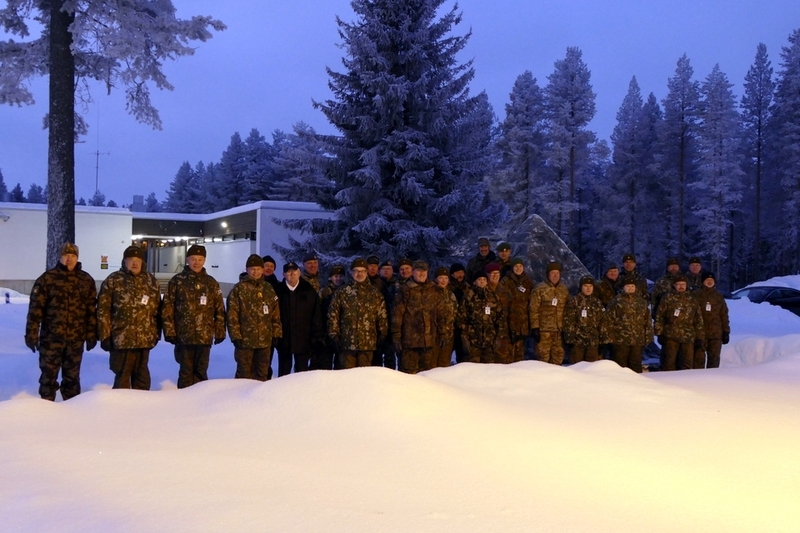 In addition to attending the Central Committee meeting, the delegates had the opportunity to witness elements of the Jaeger Brigade's arctic combat training, as well as the conscripts' swearing-in ceremony. After a raising of the flag to Lapland's dark winter morning, delegates gather for a group photo in front of the Joutselän memorial monument.